The ETL Mark IV was significantly modified by the Electrotechnical Laboratory in July 1958. 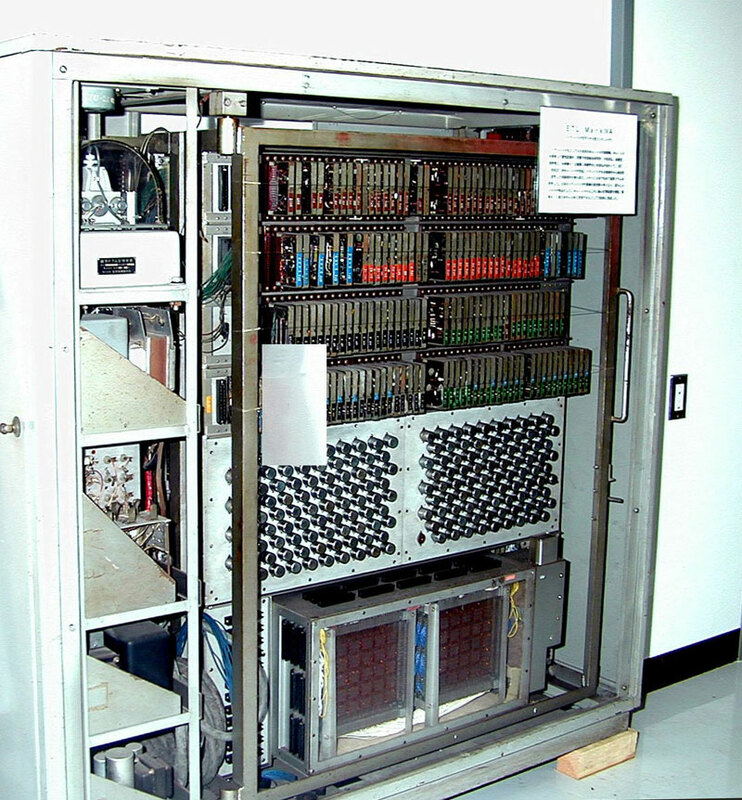 The peripheral circuits of the magnetic drum were completely converted to transistor circuits; the magnetic core memory was introduced; word length was expanded from 6 decimal digits to 8 digits; and an index register was introduced. These modifications were completed in August 1959, and the result was called the ETL Mark IV A. Speed was a few tens of times faster than the Mark IV, and this was the fastest Japanese produced machine until the PC-2 was completed at the University of Tokyo in the following year. This machine was subsequently used for a few years and is currently preserved at the National Science Museum in Tokyo.